This weeks Sunday Supplement sees MotorStars offer us a taster of a previous cover feature written by one of their house writers Dion Price. For more content like this visit their website and download the Magzter app. But for now though just sit back and enjoy the freebie! When the E60 M5 was announced I was blown away by the configuration of the package. A V10 F1 inspired engine, 7 speed sequential box and a derestricted 200+mph top speed was an unreal prospect in a 4 door family car at the time. After watching clips on the internet of M5’s laying waste to Ferrari 360’s I knew that it was the future family car for me. 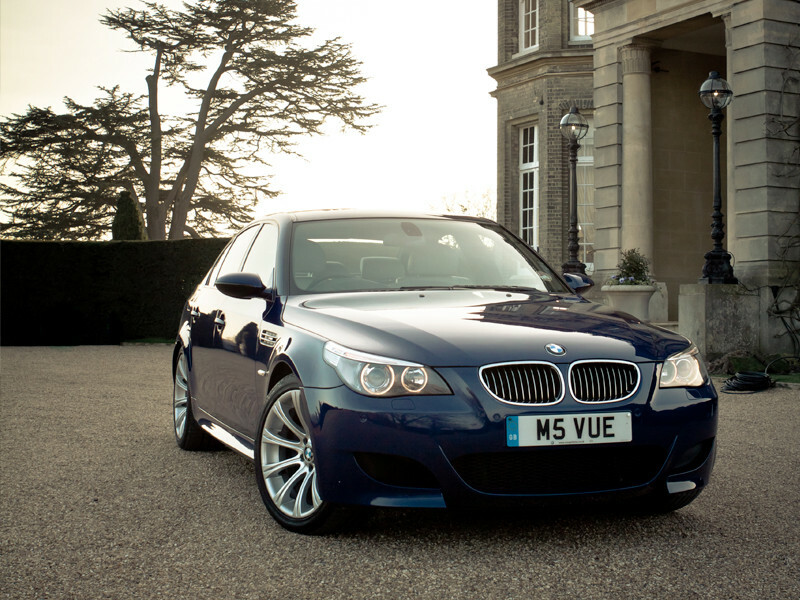 By the time I’d got married and had a couple of kids, E60 M5’s had dropped considerably in price. 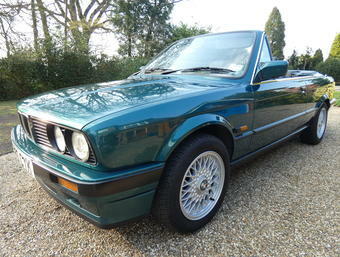 Even low mileage well cared for examples were finally a realistic prospect for me. I have owned one for just over a year, a 2005 car in Interlagos Blue with Silver leather. 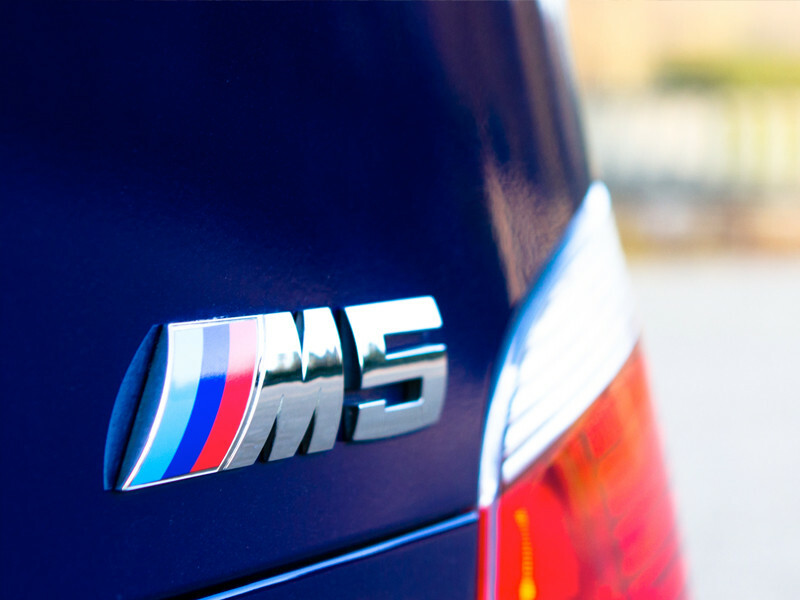 The M5 genuinely is a family car for us, my wife drives the kids around in it most of the time. I was originally looking for a Mercedes C-Class as my wife had one while we were living in the States. While looking for a decent spec C-Class back here in the UK it dawned on me that for my budget I could have a mint M5 with plenty of cash left over to make up for the delta in running costs for a long time to come. You can’t really beat the M5 for £ per bhp in a modern reliable luxury car. 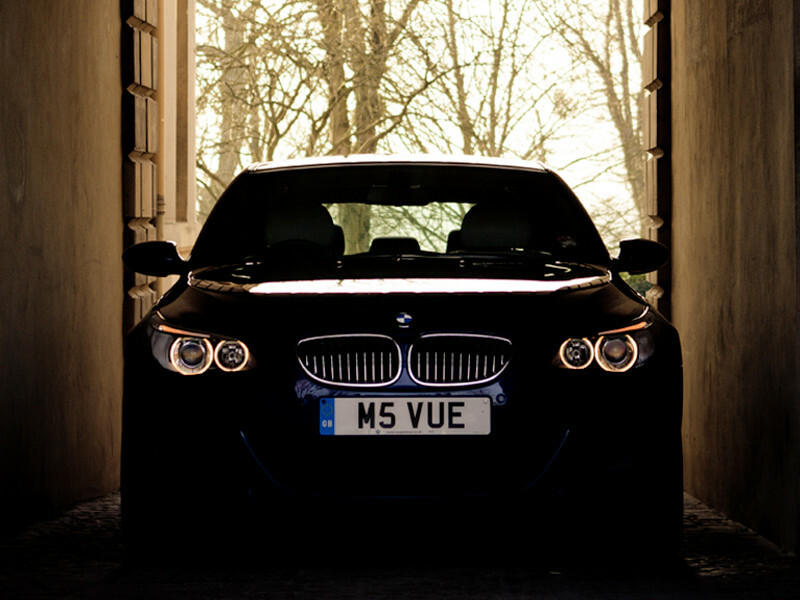 Here is a piece of advice, if you are thinking of an M5 but don’t think you can afford it, don’t test drive one! Once you have a go in one, that’s it, you start to Google “how to sell a kidney”. As well as the C-Class I also considered the Audi A5 Sportback SLine. 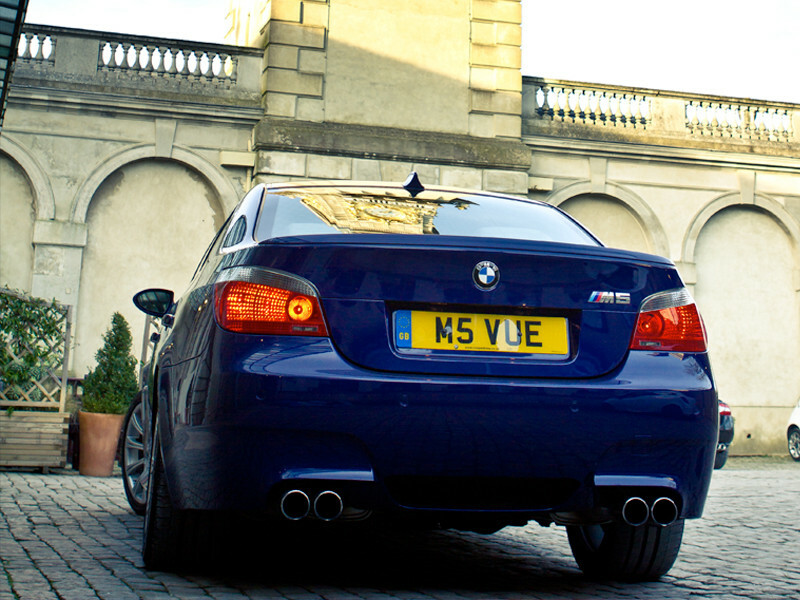 I already owned an E46 M3 at the time so had the fast car itch covered… but then I drove an M5 and the rest is history. It did take a while to find my ideal car, around six months in total. I generally don’t mind traveling to see the right car but I hate having my time wasted so I generally spend as long as possible on the phone to the owner before setting off to grill them. I quickly learned to only go and see cars that had private enthusiast owners or that were sat with independent BMW specialists. The M5 I bought was from a really nice guy that had had a few M5’s before and this was his weekend car that sat in his garage most of the time. A great buying tip is to ask the current owner how launch control works. If they enthusiastically show you the less than straightforward procedure fresh from memory, it’s probably not the car for you as it will have had a hard life. Launch control in the M5 is a brutal experience, it simply can’t be good for the car! When I asked the previous owner of my car to show me how to launch it he said he had no idea and would have to consult the manual. To the layperson the M5 doesn’t look that different from the 5 Series sport models but if you are a car person you can spot them a mile off. The subtle visual modifications combine to create a great looking car, that looks like it is straining at the leash even while motionless. When you press the key to unlock the car, the interior lights fade up, the wing mirrors fold down and the SMG pump starts priming in the engine bay along with a few other things making it sound like the car is getting ready for take off. It’s great theatre for what’s about to come. As you settle behind the wheel the whole thing fits like a glove. Turn the key and you can instantly tell you are in something special as multiple systems spring into life and the V10 erupts. When starting from cold, the V10 famously sounds like a bag of hammers but I think it adds some depth to the experience as the engine sounds evolve considerably over the first sixty seconds into something that is totally different to the initial tickover. To be brutally honest, on a cold winter’s morning day it is terrible to get rolling, both the E60 M5 and E46 M3 I own are the same, a bit of juddering and jumping as I pull off the drive but once you get used to it you can generally drive around the problem for the first few minutes until things settle down. Around town it is a pleasure, when not in M Mode it is very smooth and compliant. The standard gear shift setting is a bit eager while in auto mode for my tastes as it changes up too soon in a (vain) effort to conserve fuel. This is solved by simply knocking gear change speed up to its second setting, this keeps the car in gear slightly longer and makes it more drivable in my opinion. In terms of the driver controls, BMW have done a great job here, the steering and brakes feel like a normal 5 Series at everyday speeds but when you press the M button the car transforms. 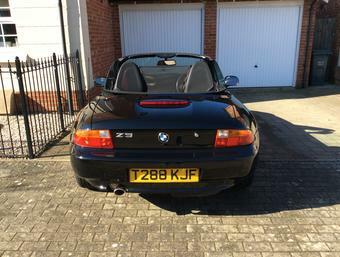 Depending on how you have programmed your particular M button, the engine remaps to the full 507bhp, the suspension stiffens, the gear changes become a lot more violent, the throttle response sharpens as well as traction control and steering weight changes. The car comes alive, its performance now belies its size and weight. It genuinely feels as though the car has shrunk to the size of the M3. You can’t overcome the laws of physics of course so if you push it too far it lets you know it’s uncomfortable before breaking its considerable traction limit. Ultimately you will back off long before the car reaches its limits. It really is a Jekyll and Hyde machine and all at the touch of a button. The brakes suffer from the usual M Division blight of fading a bit if you come down from monstrous speeds time and time again. However, unless you are using the car on trackdays, you will probably never notice any brake issue. I love the wolf is sheep’s clothing approach and the overall package is hard to beat. In terms of specific features I would have to say the exhaust note is great but a little subdued. If you drop the window in a tunnel and gun it, you get a glorious noise but the M5 was specified as an executive car in the first instance so it’s a bit quiet for my tastes. I am looking into an Eisenmann exhaust to loosen the M5’s vocal chords a bit. The truly brutal power is something to behold the first time you experience it. I have been in a few cars that are faster (Ariel Atom Supercharged for example) but nothing delivers the power of an M5 in such a refined overall package. The gear change on maximum attack is fantastic. Double clutch configurations are massively impressive for their blink-of-an-eye upshifts, but the M5 is still old school, it’s basically a set of hydraulics slamming through a manual box for you. As a result, each full bore, flat out gear change feels like a punch in the spine, great stuff. When I lock the car and walk away I still look back at it over my shoulder every single time, it’s a menacing machine and I think it looks great. By its very nature it is a bit of a stealth weapon as far as most people are concerned but every person that has a passing interest in cars crane their necks for a good look as you burble past. When the car is parked up in public and I have sight of it I often notice people taking a closer look. Only around 1,700 were sold in the UK so it’s a pretty rare car on the road. As my wife drives it most of the time she has guys commenting all the time that “this can’t be your car”, “did you choose it” and also plenty of compliments. I always think it’s great to see a beautiful woman driving an iconic machine, so I understand why people are interested when she is behind the wheel. 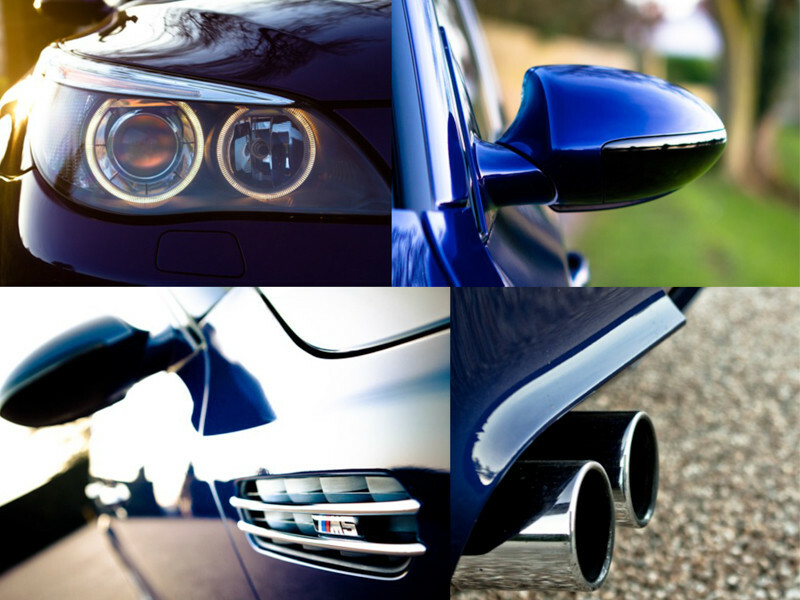 Every journey is an event in the M5. Regardless of what we do in life it’s fair to say that most of us have to spend a fair amount of time on the road. If a substantial number of those journeys can be transformed from a tedious necessary evil in a soulless “econ-o-box”, into a joyous event in one of the finest machines ever assembled then its an easy choice if the funds permit. The ownership experience has only got better in the time I have owned it, it continually surprises me in the breadth of its abilities. It is dragging the kids around one day and showing 911’s a clean pair of heels the next, it’s a great weapon. Does it remain exciting? With 507 bhp on tap, I can safely say yes absolutely. Yes there are faster things out there (just) but this car is an incredibly capable all rounder and at its current price is an extremely compelling prospect. On the down side, its woeful fuel range can get a little irritating, just 200-240 miles to a tank means regular trips to the nice people at Shell. We will never see the likes of the E60 M5 ever again. 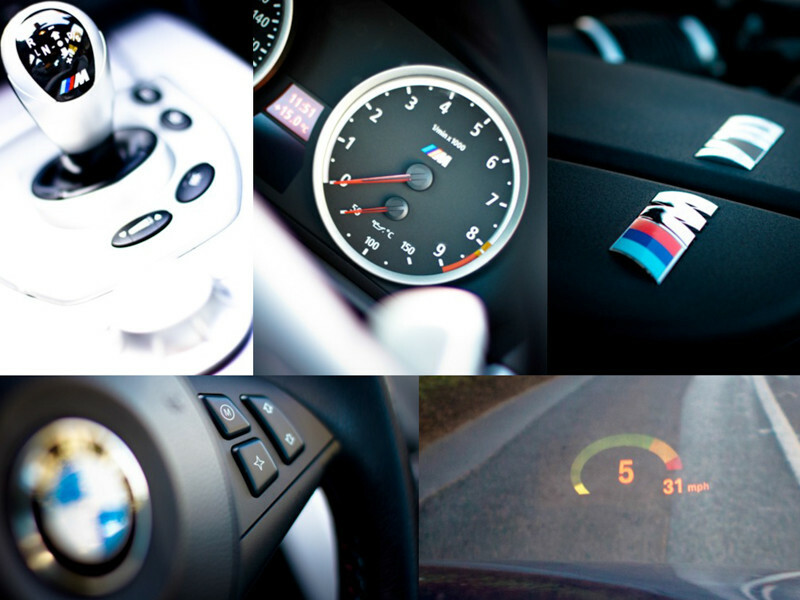 Modern emissions regulations, rising fuel costs, automotive noise regulations and the like means that future iterations of the M brand are likely to be more powerful but also more subdued or artificial affairs in some way thus giving a wholly different driving experience. As soon as I heard that the F10 M5 would “feature” Active Sound Design (artificially piping engine and exhaust sounds into the cabin via the stereo system) my heart sank a little. 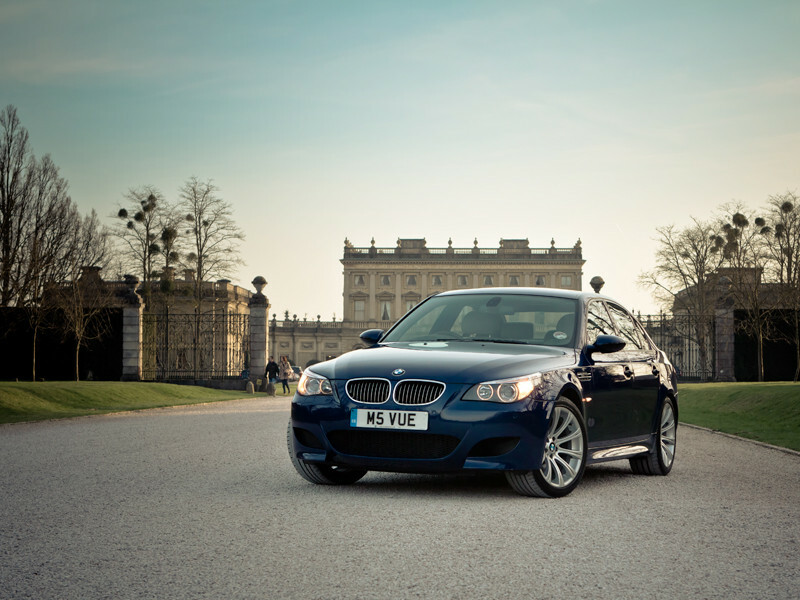 The E60 M5 is a “moment in time” vehicle. 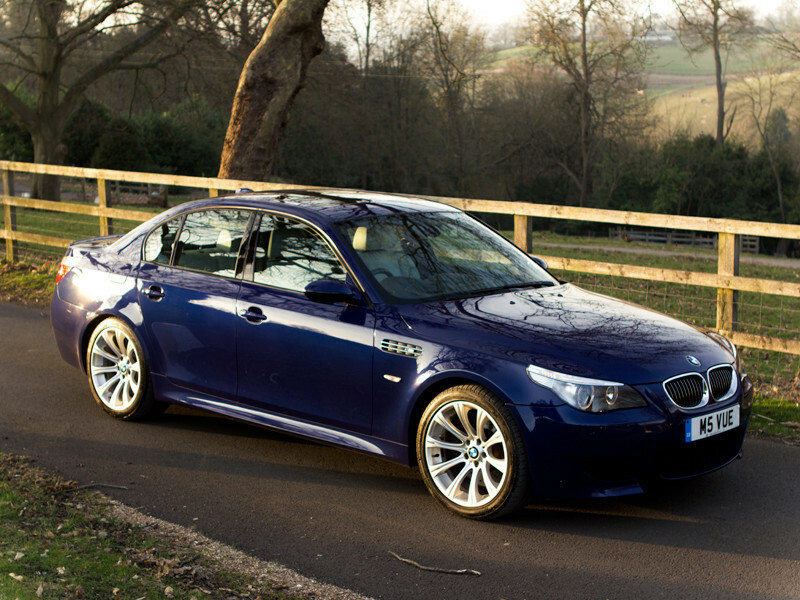 Yes, it has and will continue to be superseded by newer machinery but I cant help thinking that when we look back on the E60 M5 in years to come it will be fondly remembered as one of the first and last truly mental machines that BMW M management had the audacity and bravery to sign off on. Running costs are obviously the big concern when owning an E60 M5. As long as you have done your research and go into ownership with your eyes open then you can prepare for the not inconsiderable bills. In a year of ownership with my wife completing 60% of the miles in the car at a very sedate pace, the M5 has averaged less than 17mpg. That single data point makes it a wholly unrealistic ownership prospect for most. 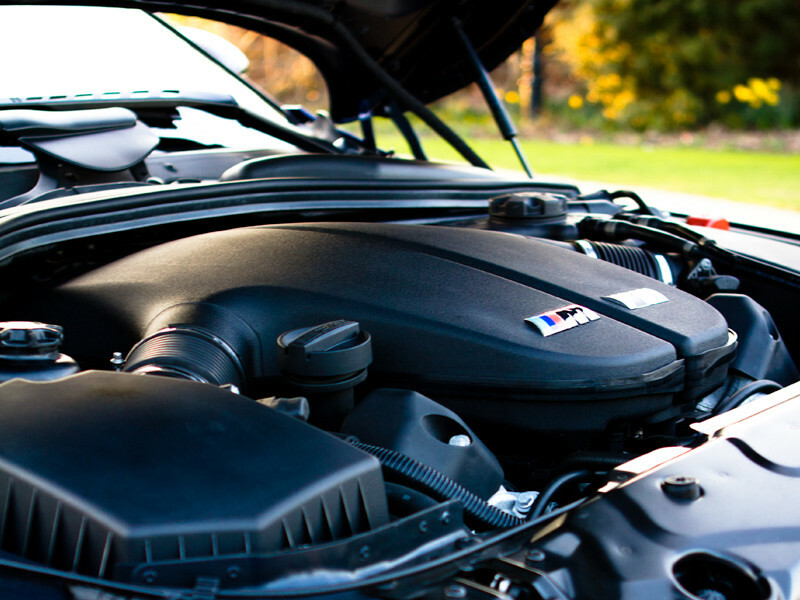 The lower your annual mileage the better obviously but servicing is not cheap either so I would recommend finding a very good local independent BMW servicing outfit that is experienced enough with M cars to know the value their owners place upon them. I use KM Auto Techniks and deal with the owner directly, he has taken care of both of my M3 and M5 for years and he's done a great job. At the end of the day, it’s a five litre V10 producing over 500 bhp in a 1,850kg luxury wrapper that will propel you to over 200mph. There are not many cars that can do that for less money. As environmental restrictions around cars become increasingly strict manufacturers will have to think of clever ways to produce the same level of driving thrills. This invariably leads to compromises that potentially blunt elements of the driving experience. 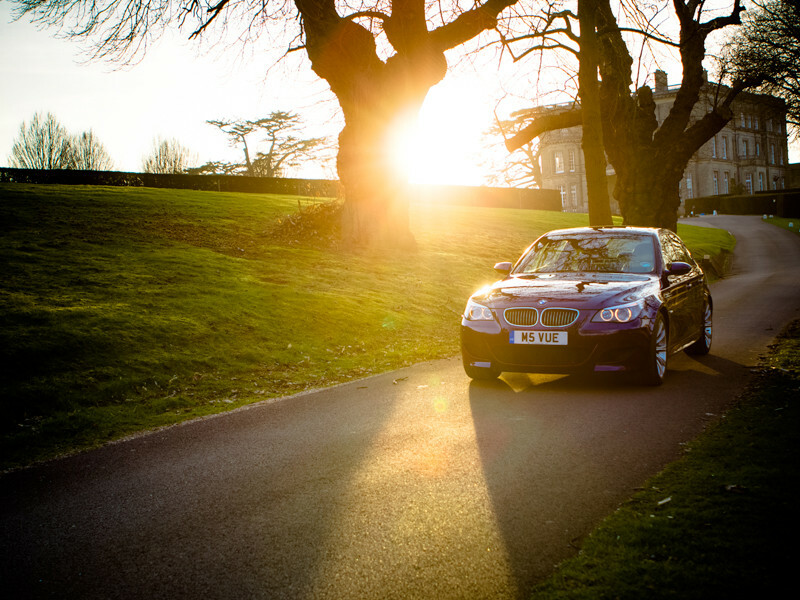 The E60 M5 was one of the last cars to escape this nanny-state net and its reputation as something special and a bit mental will grow over time. I can’t see this reputation and aura harming the values too far past their current point. If you look at well cared for low mileage E39 M5s they are fairly rare now and their values can be on a par, or even exceed, that of slightly leggy E60 M5 examples. 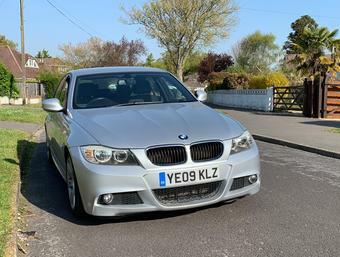 In three to five years I think higher mileage and tatty E60 M5s will drop all the way down to £8-10,000 while the lower mileage, well cared for cars will sit comfortably in the £12-15,000 bracket with museum worthy examples sitting in the high teens. For more content like this every month visit their website and download the Magzter app.